Social media is changing the way we communicate, educate and learn by offering new methods of engagement. This type of interaction helps today’s learner engage with the content, the professor and other students within the classroom, and continues the discussion outside of class. This is why I have chosen to use Twitter as a form of teaching and learning. 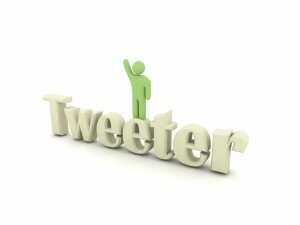 I chose Twitter because it is the most real-time and discussion-like social media platform. A study showed that tweeting students get higher grades. It also reported that students who live tweet classes practice distilling and reporting highlights and key points from the lecture or discussion. This improves students’ understanding and memorization while making the classroom more transparent and connected. The problem with Twitter’s immediacy is that it creates an opportunity for people to tweet without fully considering what they’re writing. This may introduce false information into the stream, spreading ignorance instead of information. Keyboard courage is another concern. People may feel confident in tweeting negative things they would not say aloud, thereby impeding the learning environment and making for a negative, suppressive educational experience. Please always use the class hashtag in your class-related tweets. This will assist in creating an online learning community. If you don’t know the hashtag, it can be found in your course syllabus. Use your real name, making you responsible for the words you post. Tweet as if you are writing your notes for the class. What are the key points that are important for you to remember? If you quote people in your tweets, either use their names as attribution or include their Twitter handle. Link to online information you think adds to the course materials. If you have a vested interest in something you are discussing, state it. Only write about things you know for sure or those which are cited as your opinion. If you don’t know that something is true, say so. Never put anything online that you wouldn’t want the world to see, even if you think that information is protected. Remember that future employers could see the things you’re posting as part of this class. Pause before you post. Play nice. Remember that live tweeting class is meant to be an act of positive engagement and learning. It is not an invitation to post negative things about your classmates. You must always debate facts and avoid personal attacks and derogatory remarks, especially those that may create legal concerns. Post only items relevant to class. Discussion of things unrelated to the topic is discouraged. Private or “inside” jokes also are discouraged. Believe me, the world doesn’t want to know if I am lecturing with lipstick on my teeth. It’s acceptable and encouraged to interact with myself and other students using the class hashtag. In fact, this is the spirit of the online learning community. However, please make sure the engagement also is relevant. Use the class hashtag outside of class to continue discussions and share course-related items of interest. Avoid using Twitter as a way to contact me about items specific to your personal education. Use a richer form of media for these discussions. I hope you find these policies helpful in guiding your class-based approach to using Twitter. If you have questions or concerns, please contact me via email or let’s discuss them in person. @harryLfunk I got my first email address in college. Now some schools don’t distribute them be/c they’re outdated communication. @profkrg Yeah, email is becoming passé … hate to admit this, but we were using batch cards to program computers when I was in high school! @KUJournalism We didn’t tweet during class back in my day, but the crosswords in @UDK_News did plenty to keep students distracted. @KUJournalism @profkrg My film class used twitter and it made contacting the professor and getting questions answered extremely simple! @KUJournalism @profkrg students use social media in class already. Connecting it to class may increase student connectivity to the subject. @KUJournalism @profkrg If the teacher knows how to use this technology effectively, this would be a great asset to classroom discussion. Thanks, Michelle Kay. I wish more students did it, but I don’t require it.